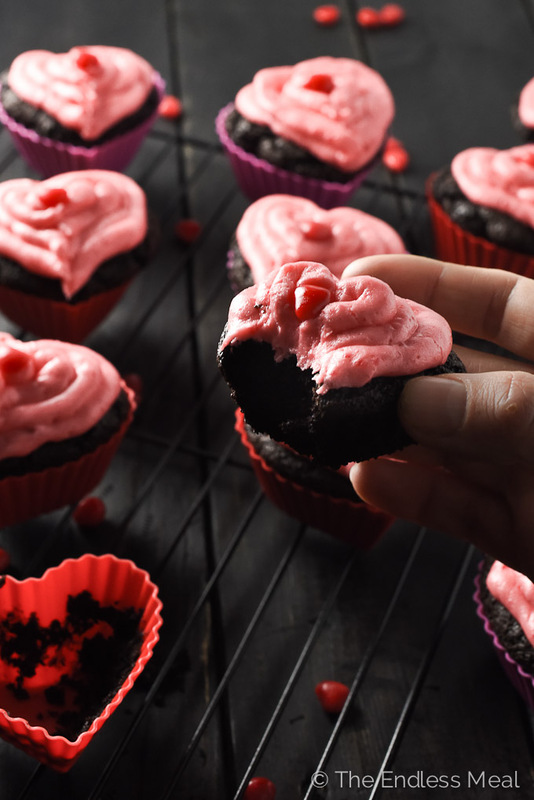 These Valentine's Day Cupcakes are an addictive combo of dark chocolate and spicy cinnamon heart candies. If you like cinnamon hearts you will LOVE these! It's Throw Back Thursday time again, and this #tbt is just in time for Valentine's Day. 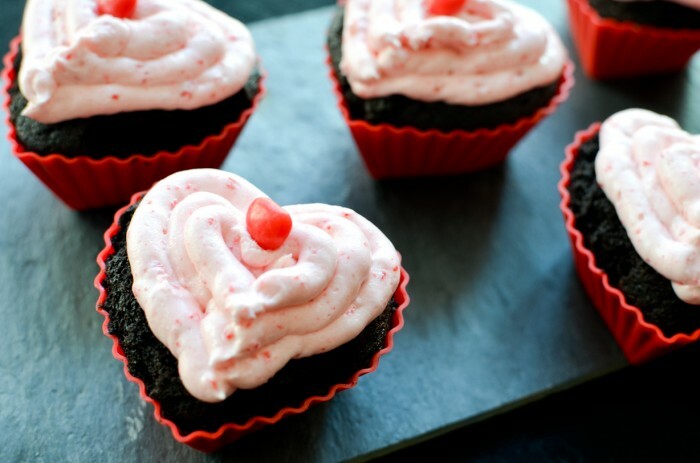 I've been dreaming of these Valentine's Day cupcakes ever since I first posted them back on February 6th, 2012. 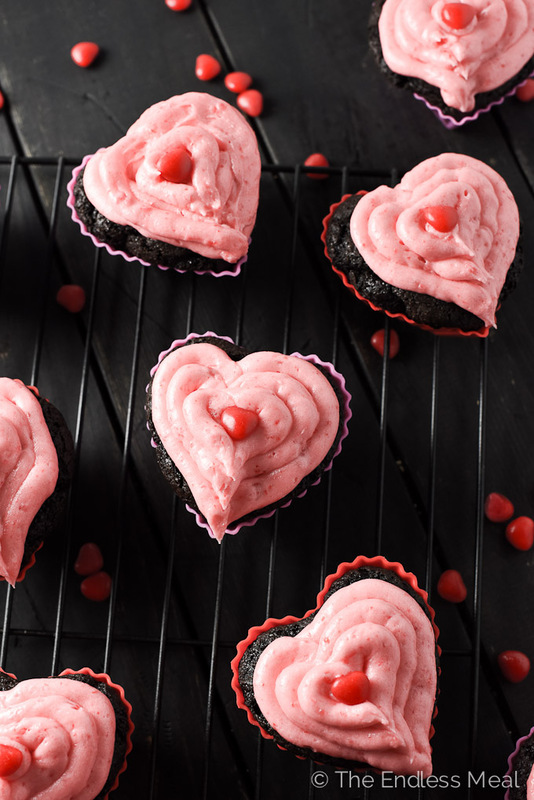 They're moist, dark chocolate cupcakes infused with spicy cinnamon hearts flavour. 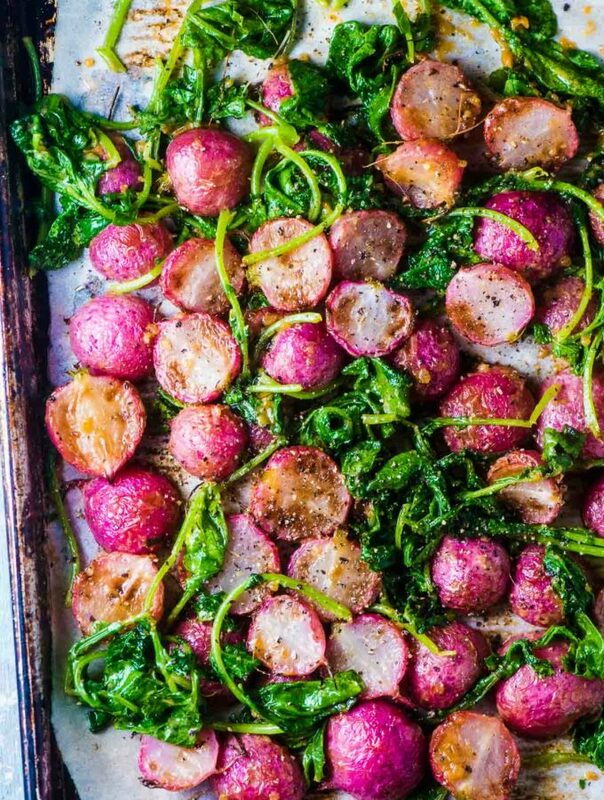 Seriously, can you think of anything more delicious? Ya, me neither. These #tbt posts have become some of my favourites here on TEM. It all started last summer when I was going through all my posts with my then new Grammarly app to correct some of the embarrassing, sleepy-eyed mistakes I had made. 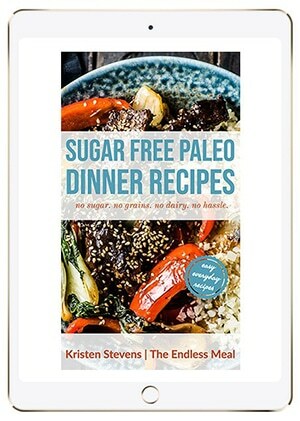 What I found (grammar mistakes aside) were some awesome recipes, with really terrible pictures. 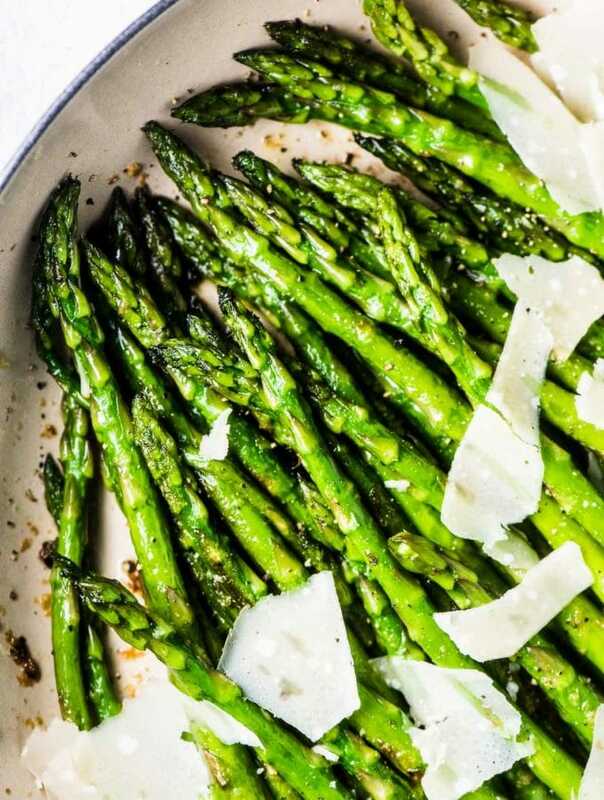 These Throw Back Thursday posts are my way of sharing these recipes with you and letting us both have a little laugh at some of my first attempts at photography. The original photos of these Valentine's Day cupcakes are definitely not the worst I've taken. They were one of the first photos I had accepted onto FoodGawker. I remember what a big deal that felt like, and how proud I was of myself! Make sure you scroll down to the bottom of the post to see the original pics. 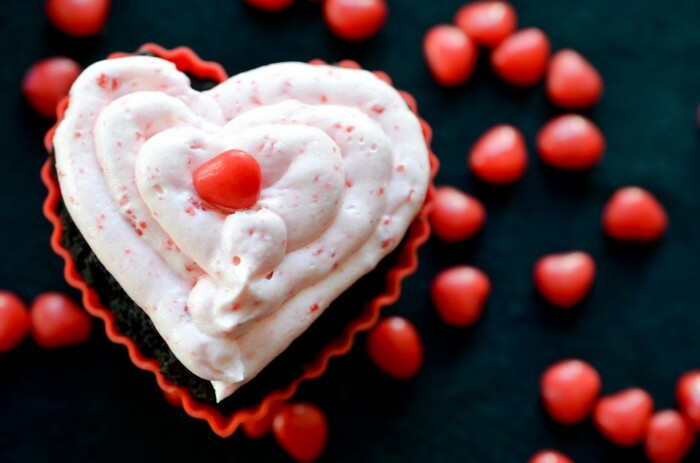 But first … make these dark chocolate and cinnamon hearts Valentine's Day cupcakes. Stat! You know how some things just scream Valentine's Day? Like those Valentine cut-out cards that are exchanged by seven-year-olds in grade two. Do they still do that? Or heart shaped candies that say ‘Be mine' and ‘I heart you.' Seems they now also say 'email me' which makes me laugh more than I think it should. Or fiery red cinnamon hearts that seem to have resisted any change since I was a child. Mmm … cinnamon hearts. If Valentine's Day were a flavour, this is what it would taste like. I'll never know why it took me so long to marry cinnamon hearts with dark chocolate. They really do deserve to be together. Forever. The dark chocolate holds its own without overpowering the cinnamon. And while the cinnamon hearts are certainly the most outspoken of the two, they manage to not take over the dark chocolate. If they were a real life couple, they'd make the perfect team. These little guys had me proclaiming my love for them after the first bite. 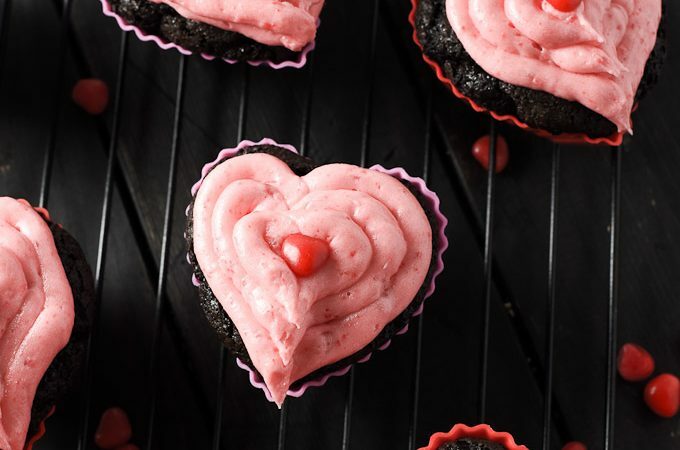 Whatever your plans are for Valentine's Day, please, please, please, include these dark chocolate and cinnamon hearts cupcakes in them. If you make these Dark Chocolate and Cinnamon Hearts Cupcakes make sure you snap a pic and tag @theendlessmeal on Instagram so I can like and comment on your photos. I love seeing TEM recipes you create! 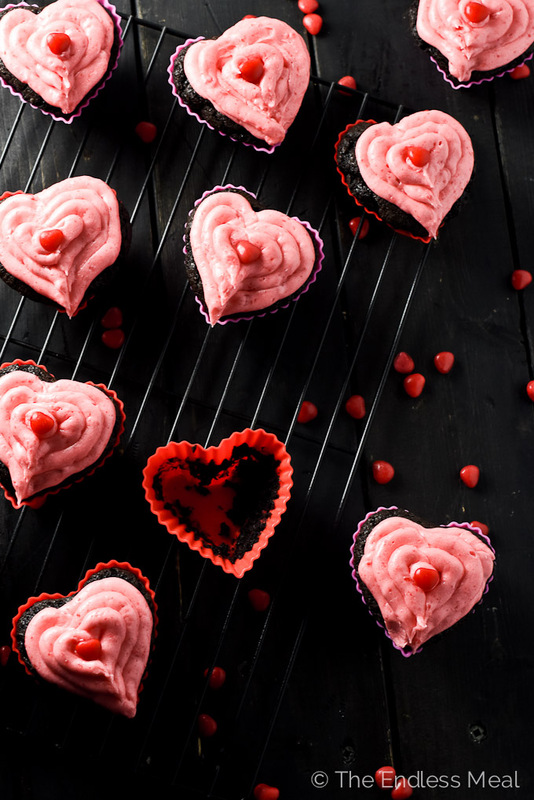 Warm someone's heart with these delicious Dark Chocolate and Cinnamon Hearts Valentine's Day Cupcakes on Valentine's Day. Preheat oven to 350 degrees. Line cupcake tin with paper or silicone liners. Black cocoa powder is a super rich alkalized cocoa powder that is used to boost colour, think Oreos. You can easily substitute regular cocoa powder for the same taste, but the cupcakes will not be as dark. If you’re interested in learning a few tricks that I did to improve my food photography, check out the posts 10 Food Photography Tips for New Food Bloggers, The 10 Best Food Photography Props to Improve Your Food Photography and The Food Photography Equipment I Use. Pinned, need to make these soonish! Any excuse is a good excuse! Happy Valentine’s Day to you, too! Oh hell ya it is! Love that my post has you running to the grocery store. Best compliment ever. Let me know how you like them! To be honest this was the first time that I used silicone liners to bake cupcakes too. I did have to bake them for a few minutes longer that the original recipe called for. It is hard to say if that was because I changed the recipe or my oven temp was a little off or if it was because of the silicone liners. Btw: your lavender and lemon cupcakes look amazing! These cupcakes are super cute. I just used my silicon cupcake liners for the first time this weekend – do you find the silicon liners bake the cupcakes differently or that you need to adjust the baking time a bit?